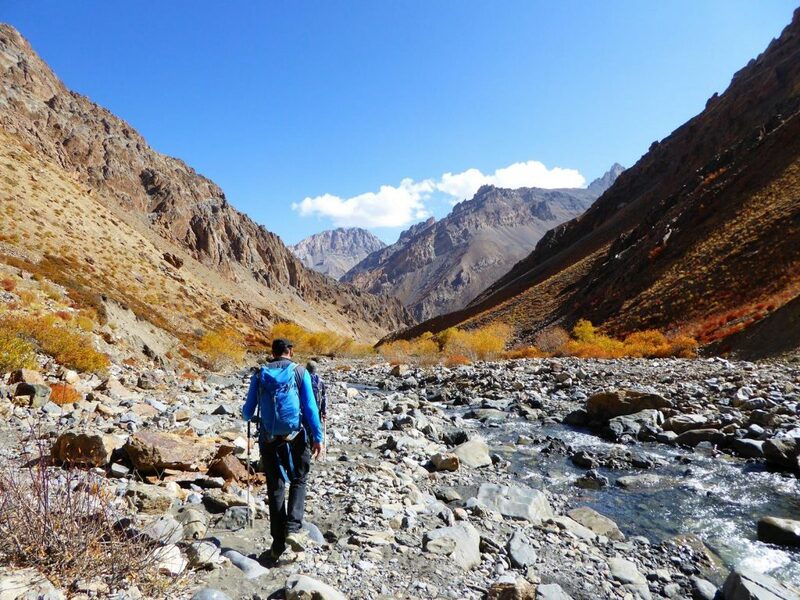 If you are planning to take a trekking tour for more than a few days in the Himalayan Ladakh, you should carefully consider a couple of things. Choosing the right maps, knowing how to deal with the local people, and even the proper way to do business with horsemen are some of the more specific details you should pay attention to … A logistical challenge that requires proper planning. 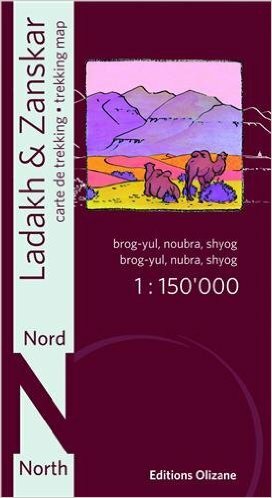 There are lots of maps of Ladakh (at least in Ladakh itself), but only a few are good enough to use as reference material when trekking. The maps of Editions Olizane are not bad, but they do have their flaws: towns, mountains and rivers are often wrongly named and/or depicted, and so you shouldn’t completely rely on them. In general though, they can be very helpful. The maps come in three volumes and are quite detailed, which is an advantage for the orientation, but they can be a bit uncomfortable to handle, since you will frequently have to change between the different booklets. 2 Backpacks or beasts of burden? Carrying it all oneself is not a problem for very well trained and equipped people, but for most people it is not easy to do so at such high altitudes. You will rarely hike under 3.500m, and often over 5.000m. This is already a big difference when compared to even weeks-long hikes in the Alps, where the air never becomes so thin. Pack animals can be a great support. Getting horses to help with the transport of the luggage is certainly an advantage, but not always a simple task. Since demand and supply are mutually dependent, it is often very difficult to get horses (or even donkeys) in the high season (July and August). Many horsemen don’t go under a minimum of 4 horses during this time, because after all they are paid per horse, and don’t get a fixed daily wage for themselves. 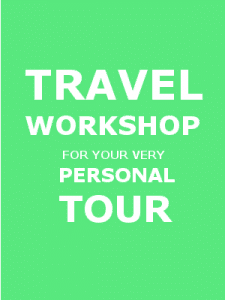 If the trip really requires just one or two horses, the horseman will increase the price per horse accordingly. 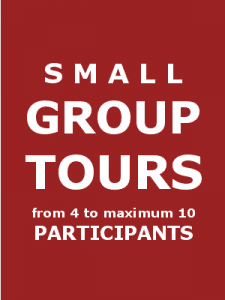 The price to be paid is per horse per trekking day, plus an extra for the so-called “return days” of the horseman and his animals. How high the price per horse and per day will be is difficult to say, as this depends highly on (a) both your and the handler’s own negotiating skills, and (b) the total number of horses. Donkeys are cheaper, but also quite stubborn and can cause some problems on the way. In addition to this, every year there are fewer and fewer horse dealers, their work less and less necessary with every new kilometer of motorized route laid, and so they barely make money enough to subsist (especially employment through army falls apart who gave them work throughout the year). By the way, the pony handlers are not greedy or ruthless because they insist on a minimum number of animals during the high season. The season is extremely short and the men try to earn as much as possible while they can, so they can support their families the rest of the year! Please always keep this in mind. 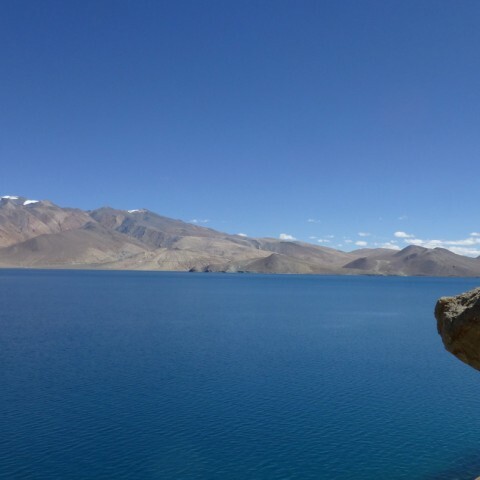 If you are thinking to simply fly to Ladakh and arrange everything on the spot, please remember to save the necessary time to properly plan your trip. Just looking for a ponyman can take several days. Even if you’d rather lay the finding of horses into the hands of a local agent, finding them on a short notice may take a long time, especially during the high season. 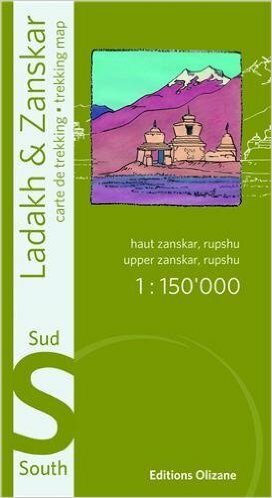 Ladakh is not Nepal: here there are no fully equipped lodges to be found. 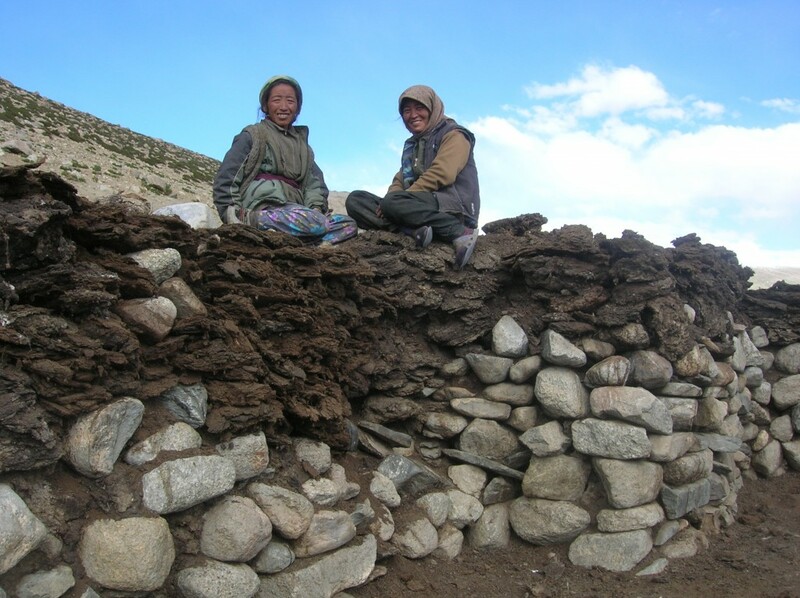 However, there are plenty of Homestays in the Markha Valley and the Sham Trek, and between Lamayuru and Chilling. It’s possible to find them also in some – but not all – places in Zanskar. 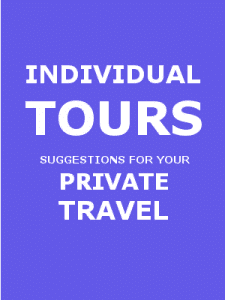 It is usually the farmers that provide a few rooms for the travelers. Research and decide yourself well beforehand if you need a tent or not. 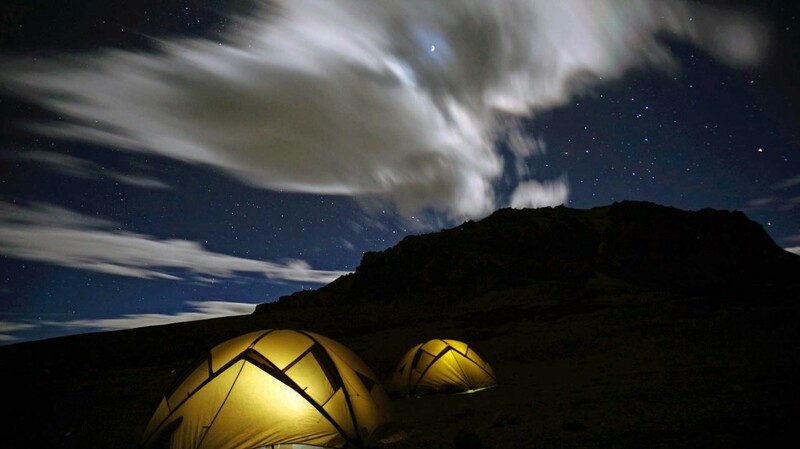 A camping tent’s weight is something to consider carefully. At the same time, Homestays provide not only a roof, but also food. If you carry your own food, there is a lot more to plan. You will have to get the supplies mainly in Leh, since there is not much of a choice outside the capital. Most places in Ladakh have smaller shops, but in these you can often find only what their owners can’t produce themselves… That means no fresh vegetables or fruits, no flour but salt, sugar, chips, soft drinks, etc. It is naturally a good idea to ask locals about the right way or the distance yet to walk. But please keep in mind that many Ladakhi understand little or no English at all. It is also very common that people here would rather say anything before admitting that they don’t know the answer or did not understand you. And as far as walking time is concerned: a local’s “30 minutes” can turn out to be as much as 2 hours. Play safe and ask 2 or 3 people before you leave, just to be sure. 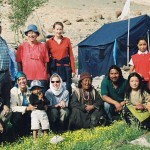 The great hospitality of the Ladakhi is part of their culture. Please be fair and don’t take advantage of them! Time and again we read in trekking blogposts and forums comments how people boast about how little money they spent on their hiking trip from A to B. That they slept and ate for free in some farmer’s house; that they brought their own food and didn’t spend one single rupee; that they did this or that tour and it was all so cheap… We doubt that this counts as a great achievement. Truth is, on the one hand, that most often these “cheap-hikers” are taking advantage of the hospitality of the locals, a trait that plays an important cultural role due to the remoteness and hardship of the country, and as more and more guests arrive and (maybe unknowingly) exploit this friendliness, the system will soon change. On the other hand, one must also bear in mind that Ladakh does not generate large agricultural yields. That means that if a large number of unannounced travelers make unconcerned use of the locals’ reserves, they will have many difficulties during the long winter… even more when they aren’t even paid and can’t buy new food to replace the one offered to the guests. Tradition dictates that many Ladakhi will always politely reject any payment at first… regardless, it is considered polite to insist on giving something. This doesn’t mean, however, that you should refuse the hospitality and invitations of the locals, nor that you can’t benefit from their knowledge, help and general good disposition. Just please be thoughtful, considerate and above all fair to them! 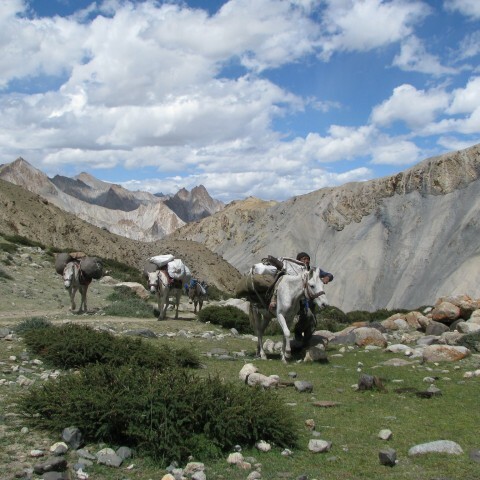 Hiking on your own through the Ladakhi territories, in combination with the rustic authenticity of its homestays, can be a quite charming experience. 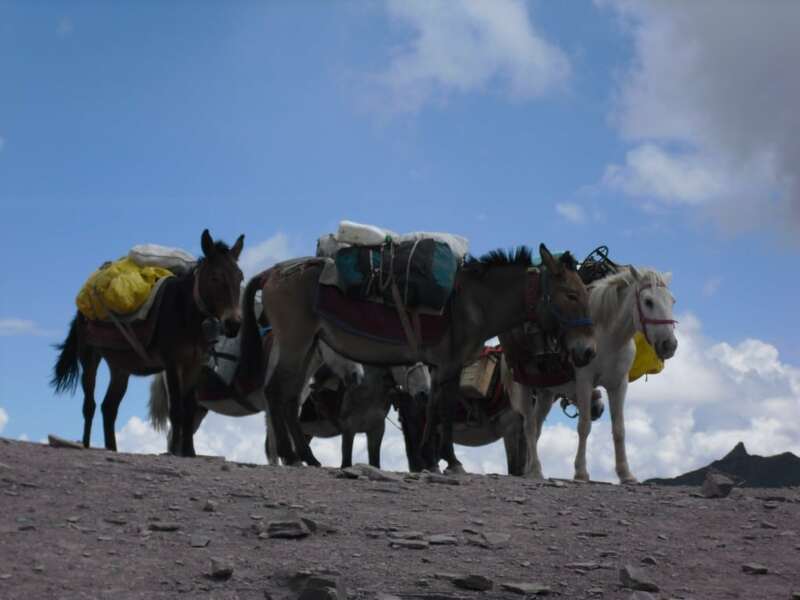 However, if you are traveling with camping equipment and supplies, and especially without the help of horses or donkeys, the trek will also require a lot of strength and a very good physical condition. We know a few people who have done it, and we admire them very much. But not everyone is made for such a challenge, and you should think carefully while making a decision.